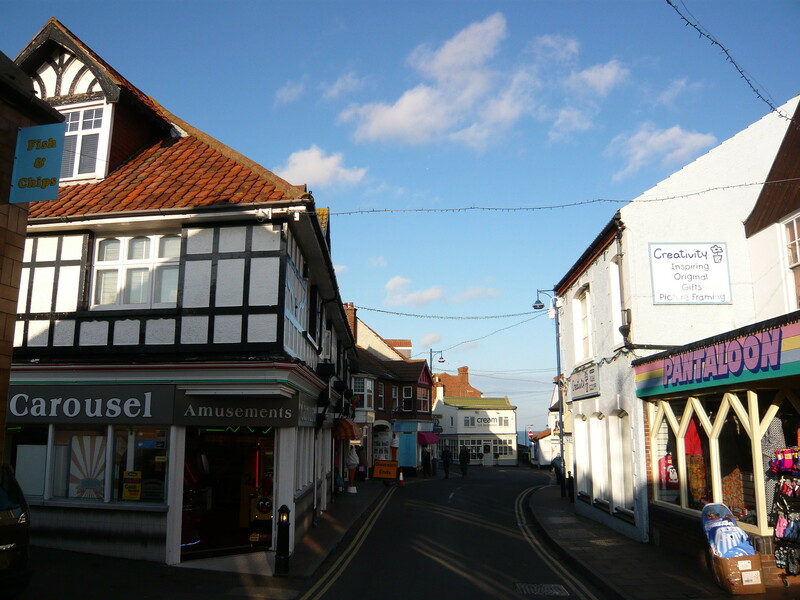 The next town along the coast was Sheringham. 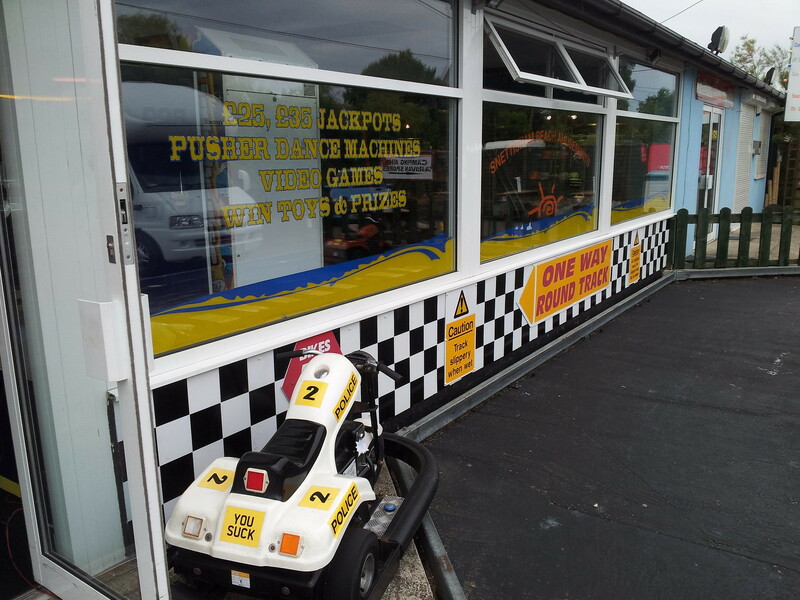 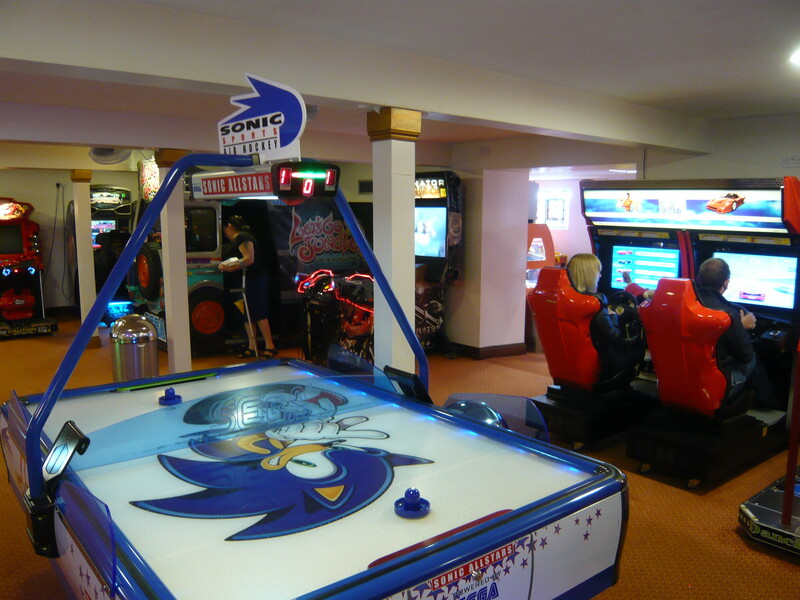 There are two small amusement arcades with some modern games, not much to report here. 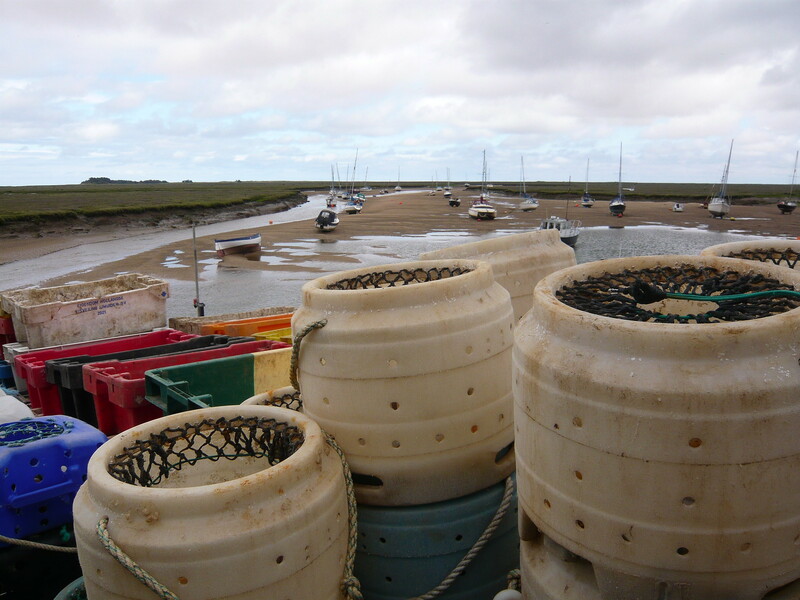 Our next stop was Wells. 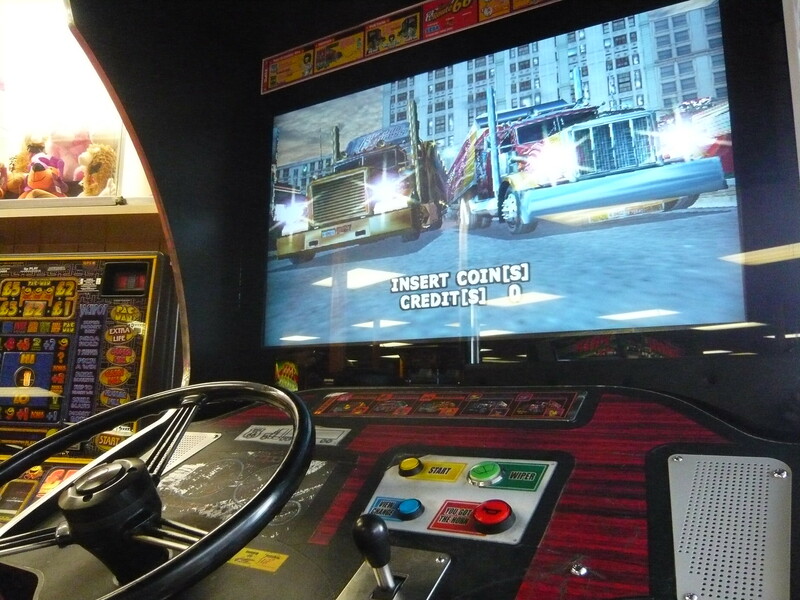 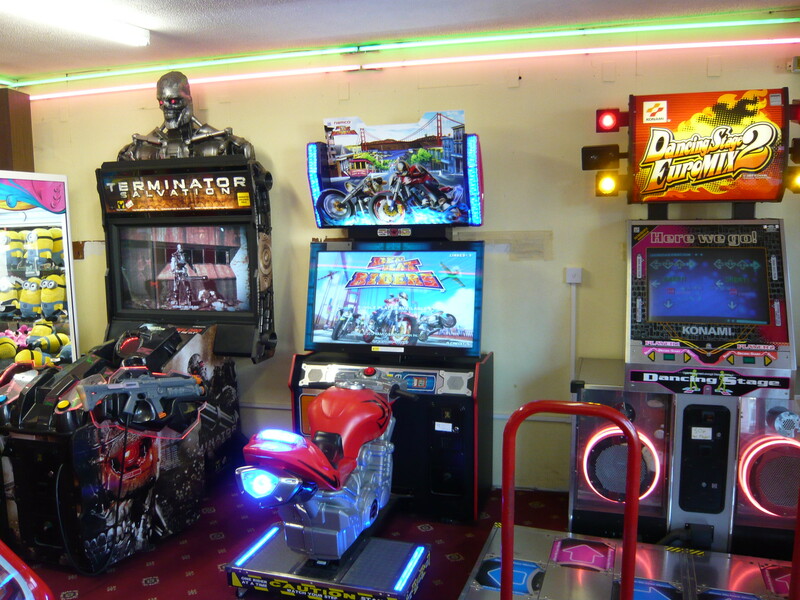 Wells now only has one arcade, featuring mostly gambling and redemption machines. 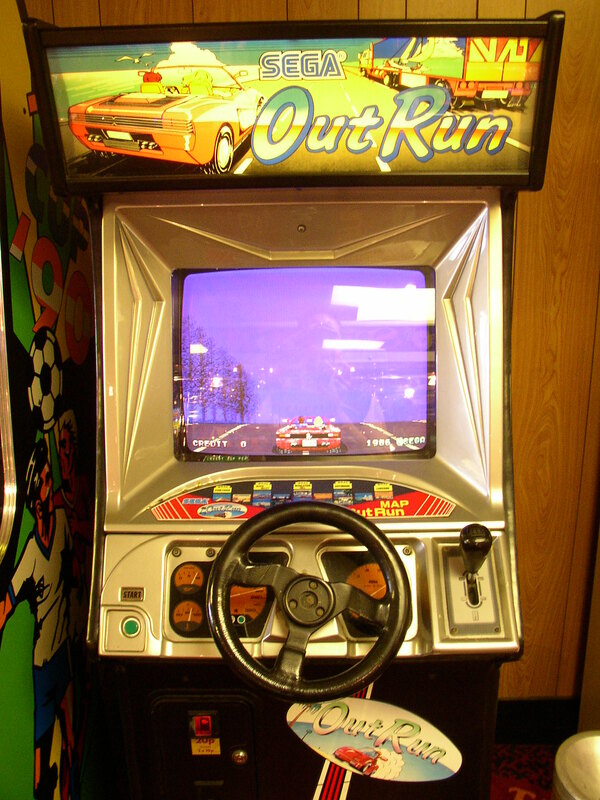 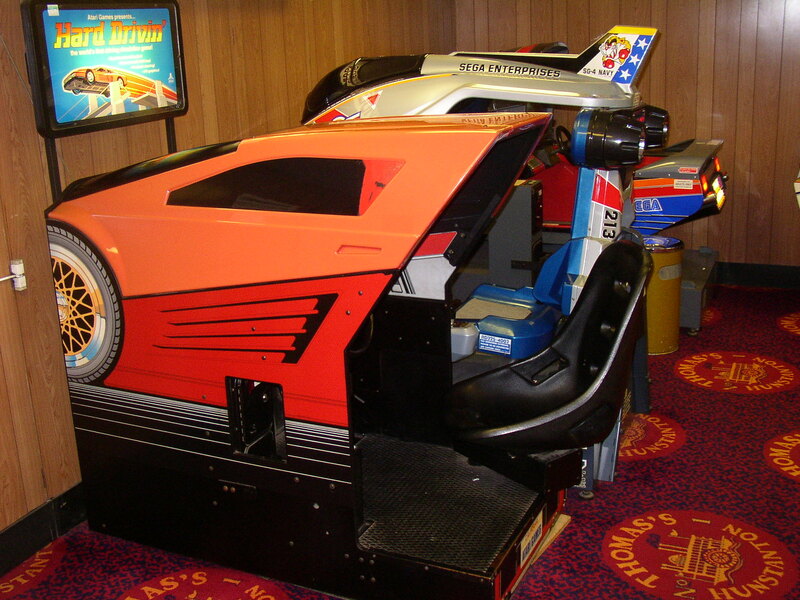 There were a couple of modern games though, including a nice OutRun2 twin cabinet. 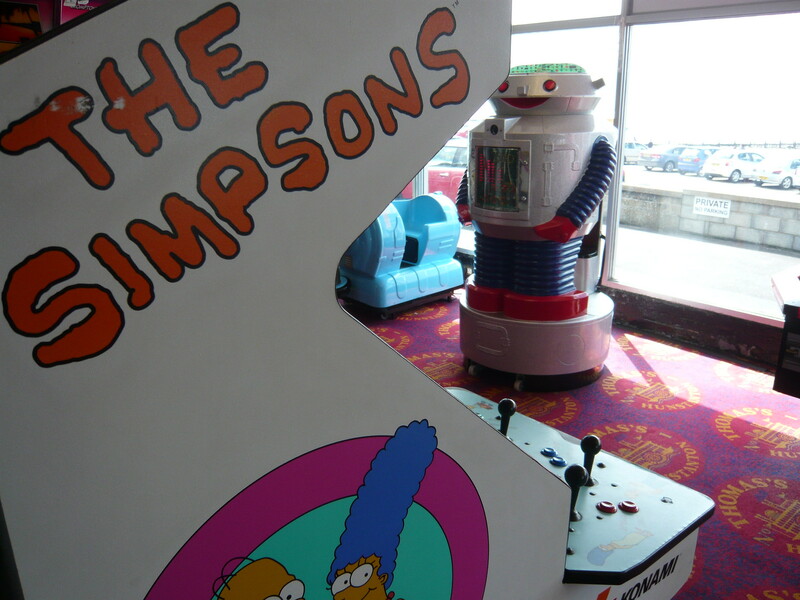 This arcade was pretty awesome. 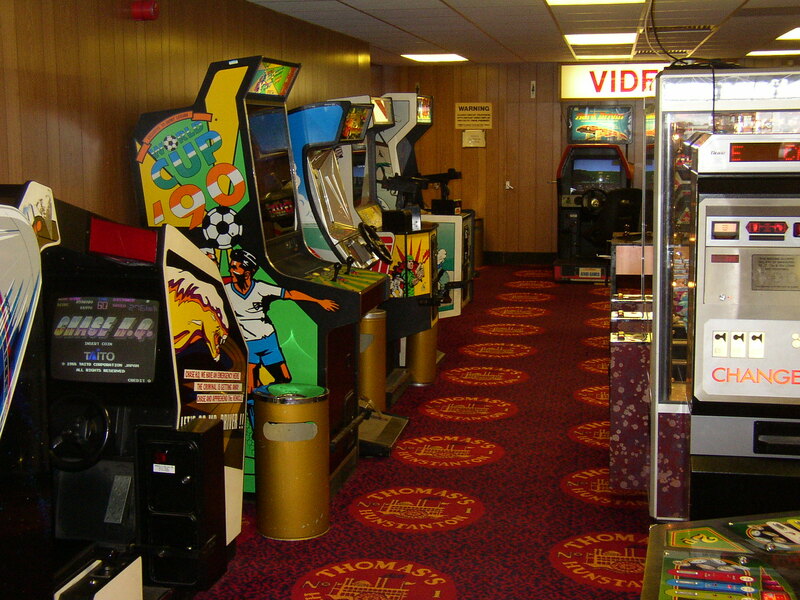 The arcade had a nice selection of videogames, old and new, all fully working and in very nice condition. 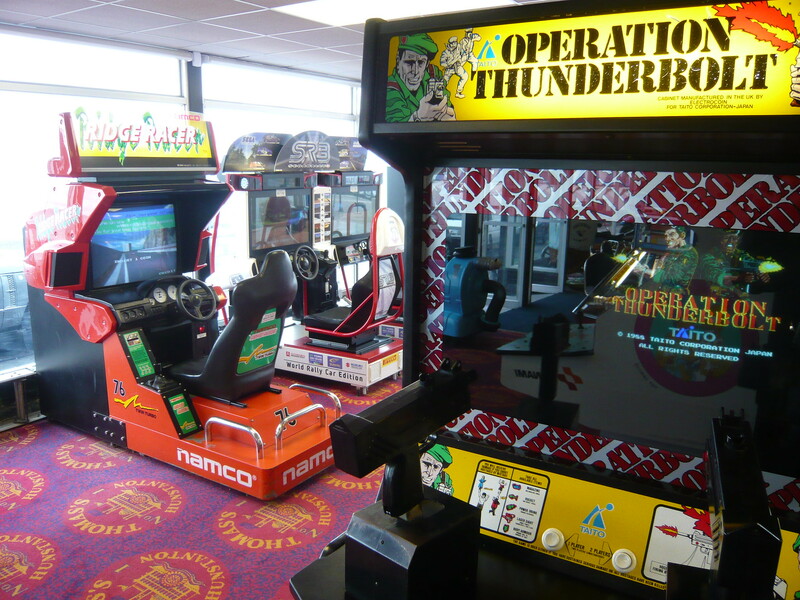 It was nice to play some Ridge Racer, Silent Scope and the classic that is Operation Thunderbolt. 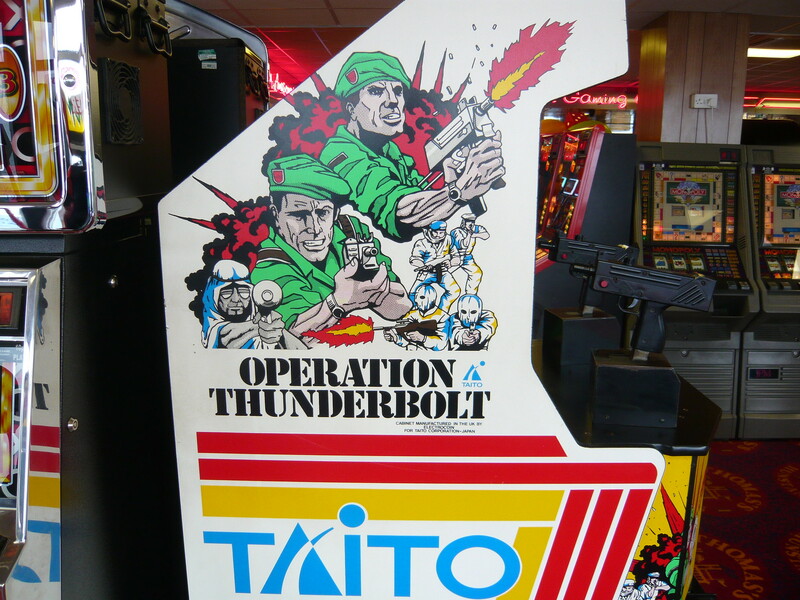 The Operation Thunderbolt cabinet was in incredible condition for its age. 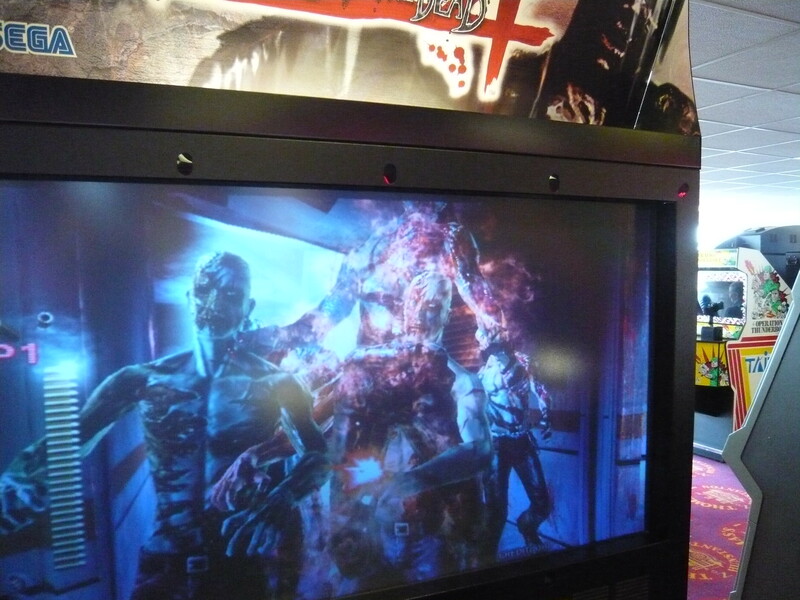 I love the cabinet artwork. 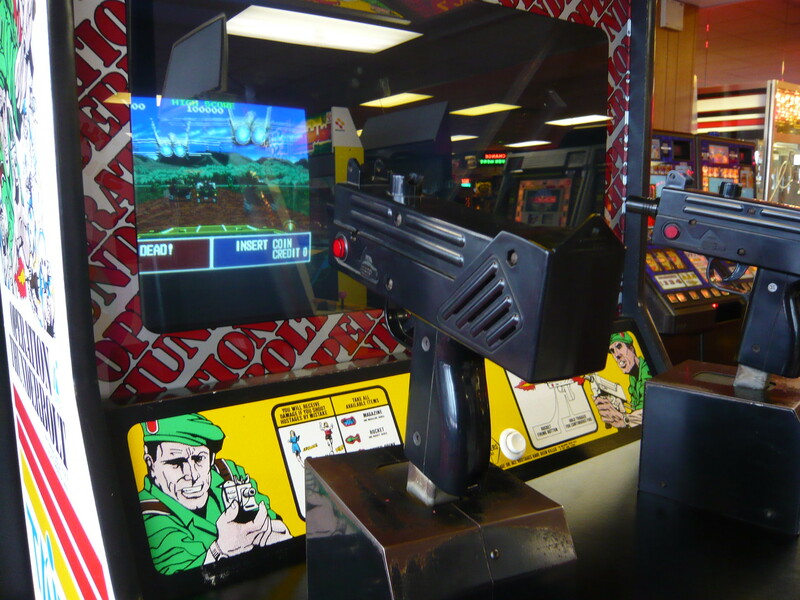 My wife and I teamed up for some twin Uzi action. 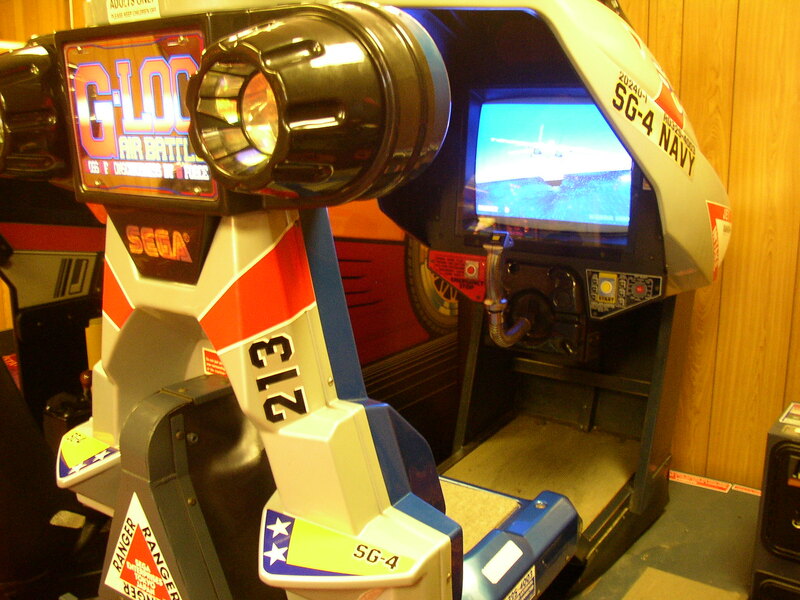 The final stage takes place on an airplane. 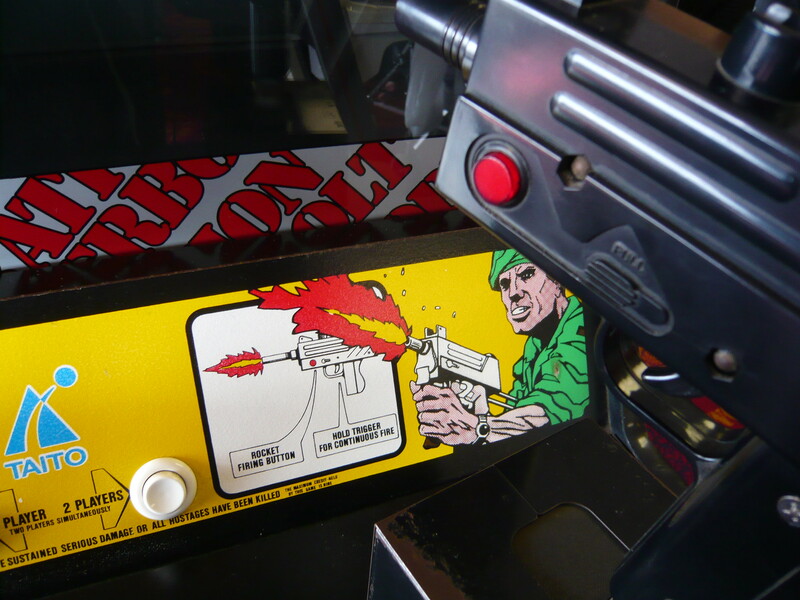 The evil terrorist takes the pilot hostage and it was up to my wife and her gaming skills to kill the terrorist, save the pilot and bring justice to the world. 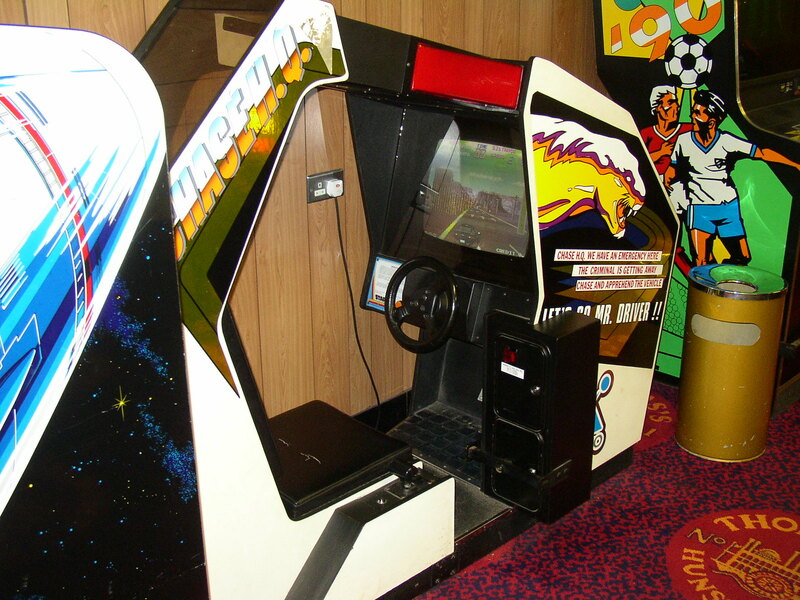 Unfortunately the wife mowed down the pilot without too much remorse and we never got to see the true end sequence! 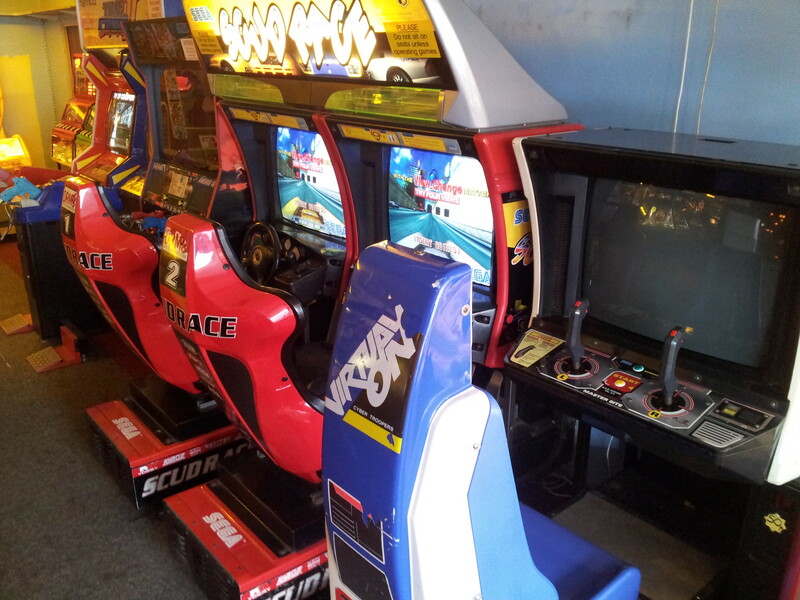 It was nice seeing the old machines running next to the new, and being played and enjoyed. 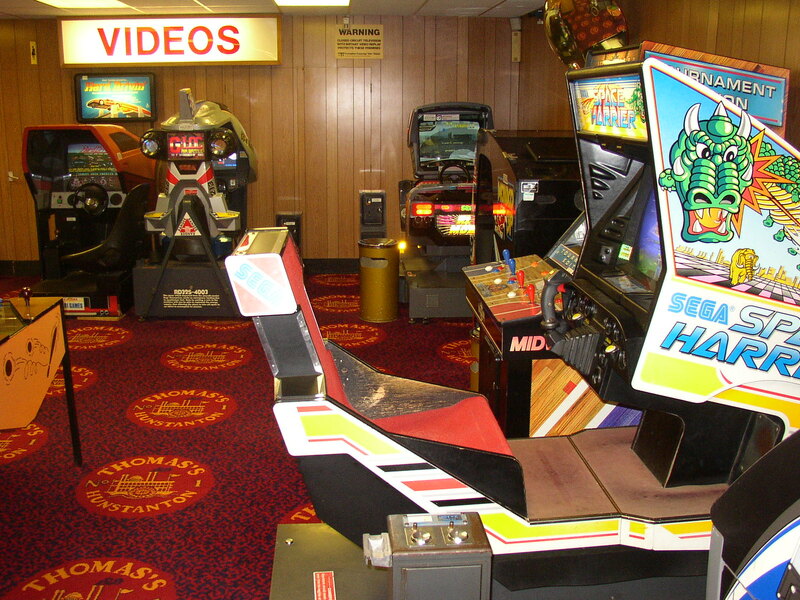 This arcade featured mostly modern games. 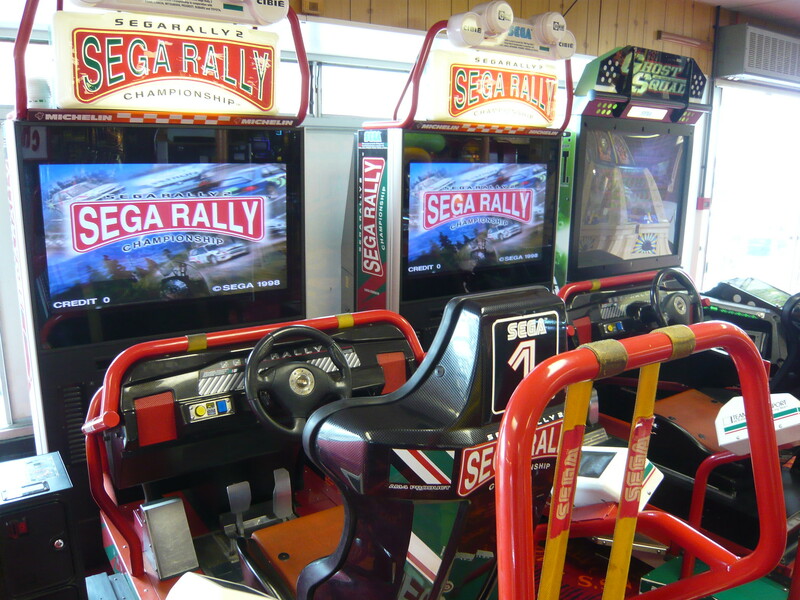 I enjoyed a couple of credits on and OutRun 2SP, Sega Rally 2 and The King of Route 66. 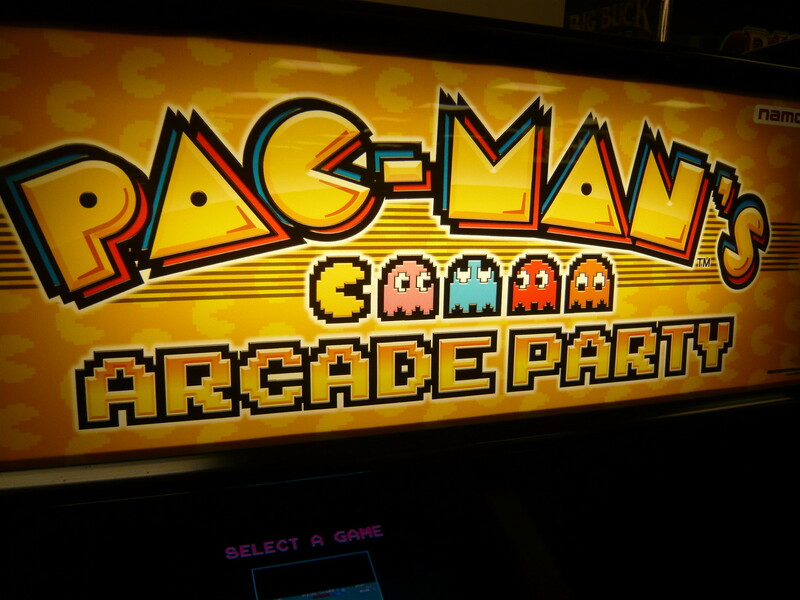 It was the first time I’d seen Pac-Man’s Arcade Party, featuring a selection of classic Namco games. 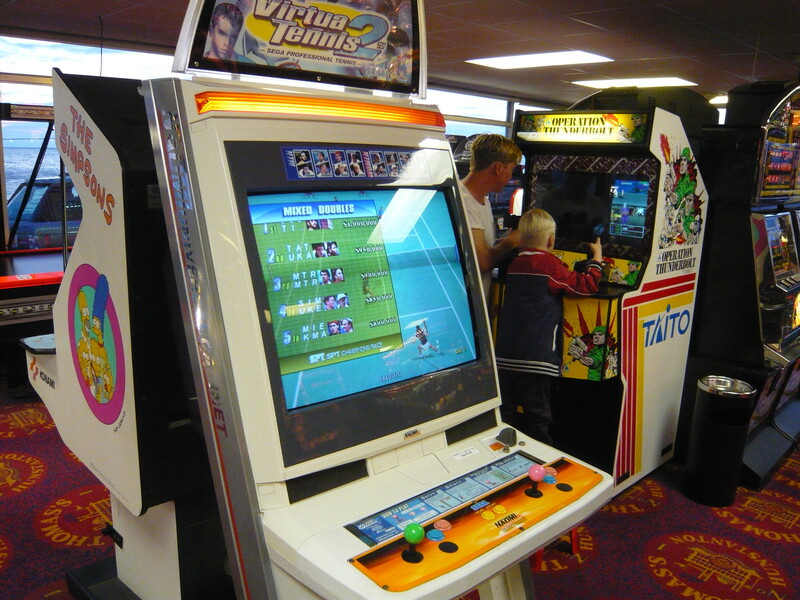 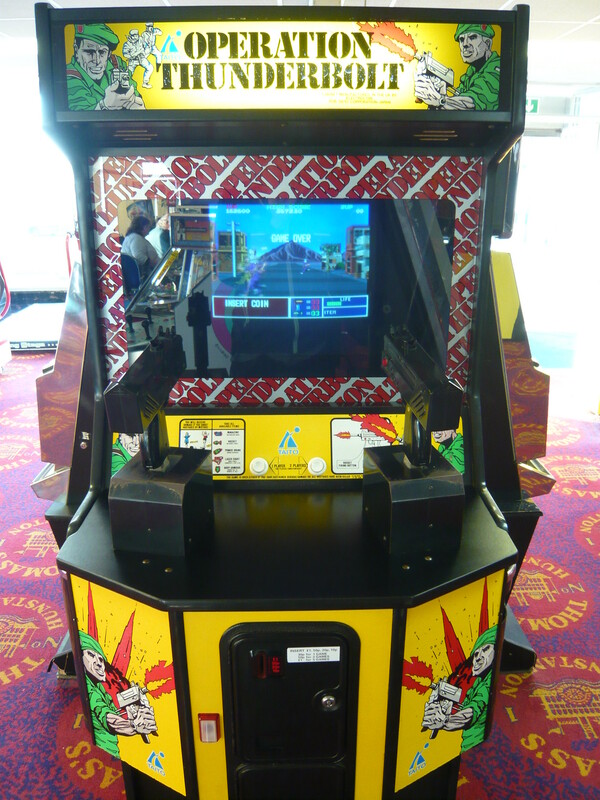 It was nice playing Rolling Thunder in an arcade in an English seaside town, even if it was a modern cabinet with an LCD monitor! 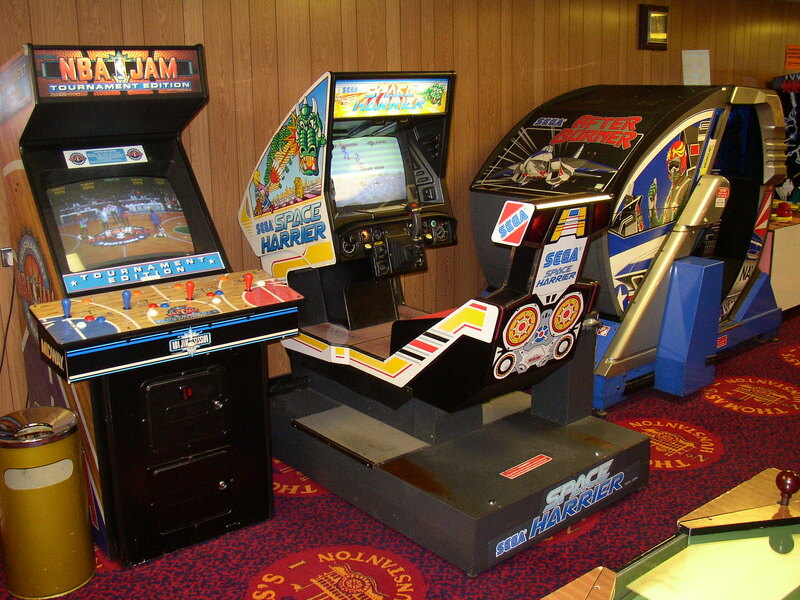 This arcade used to have an awesome selection of cabinets, with a nice variety of cockpit and Deluxe machines. 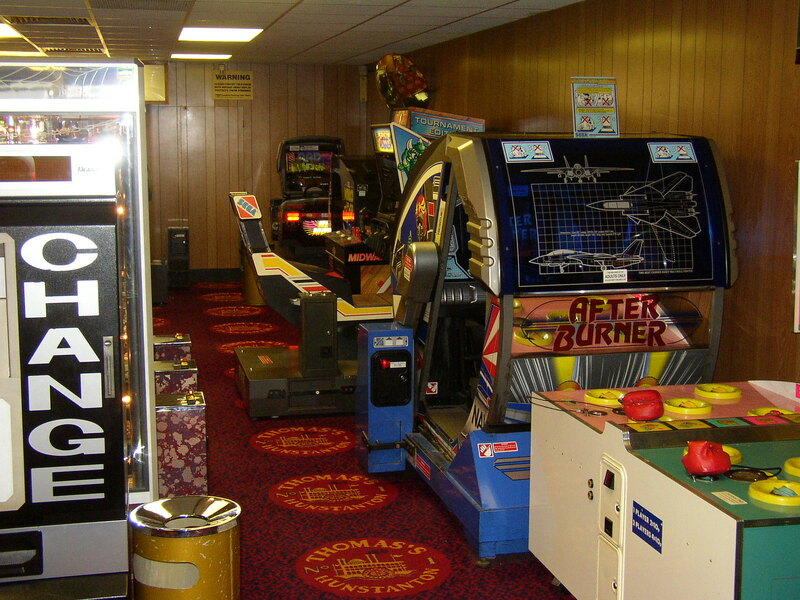 Here are some pictures taken in 2004. 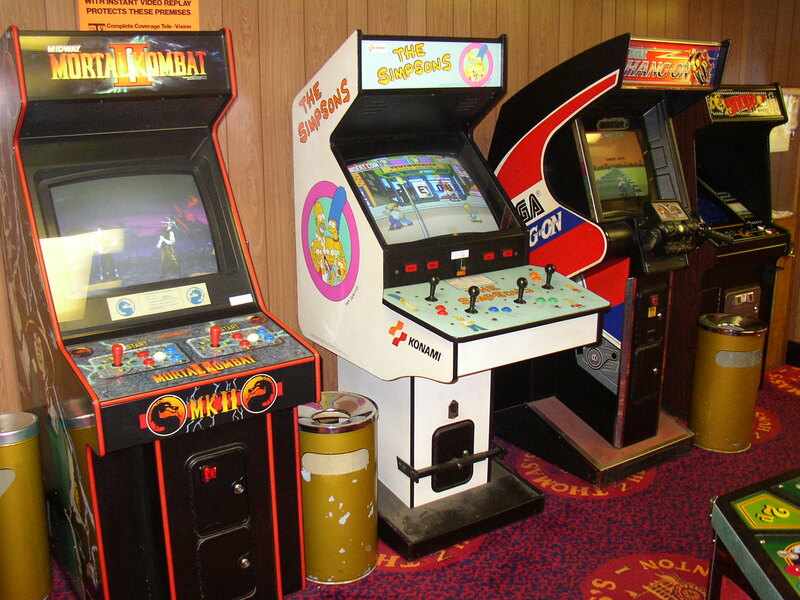 How I would love to revisit the arcade and play on these machines. 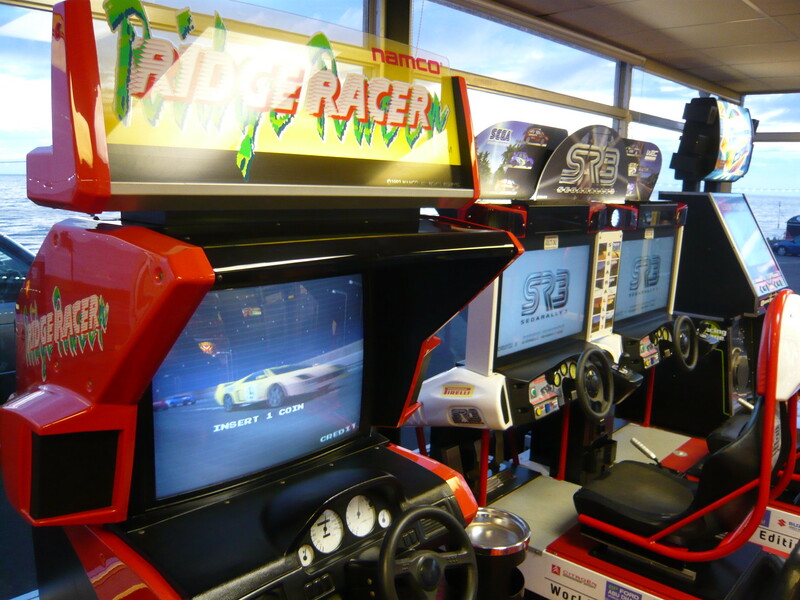 The arcade featured an awesome collection of Yu Suzuki ‘Super Scaler’ classics, including Hang-On, Space Harrier, OutRun, After Burner, G-LOC and Rad Mobile. 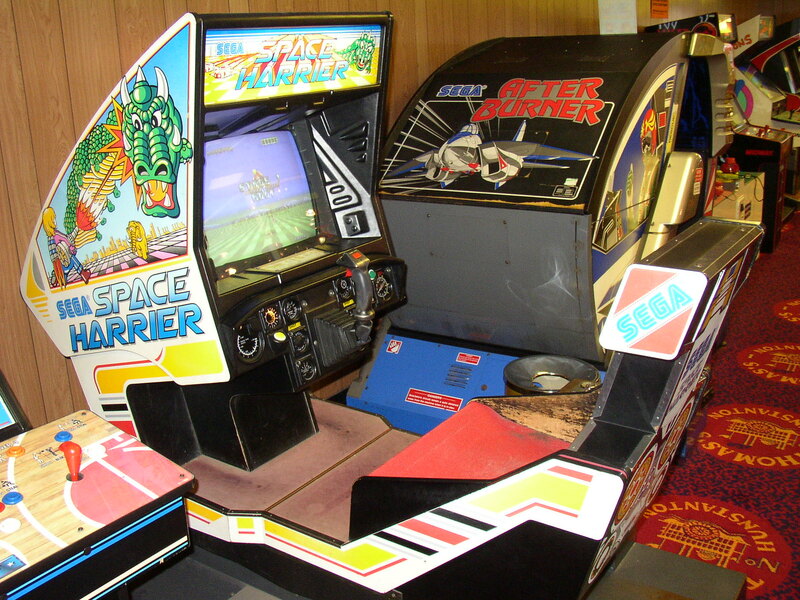 Space Harrier Deluxe, released in 1985. 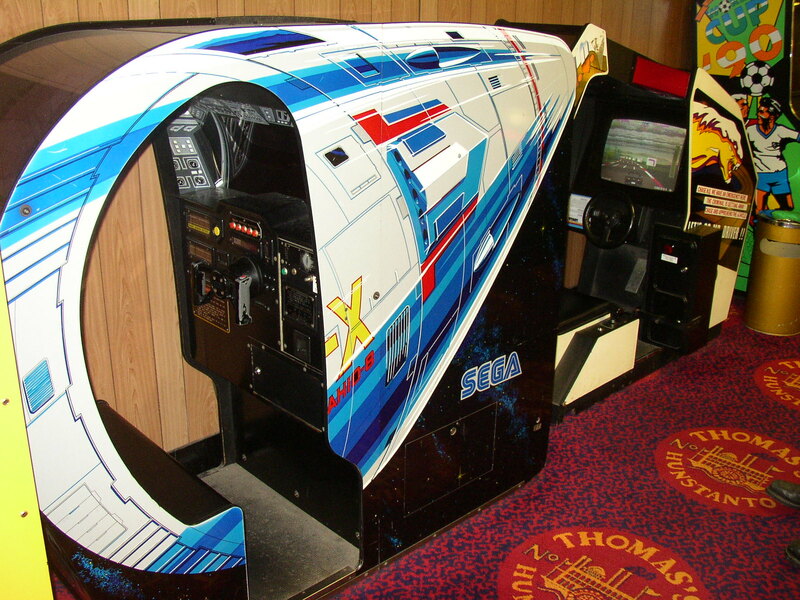 One of my all time favourites. 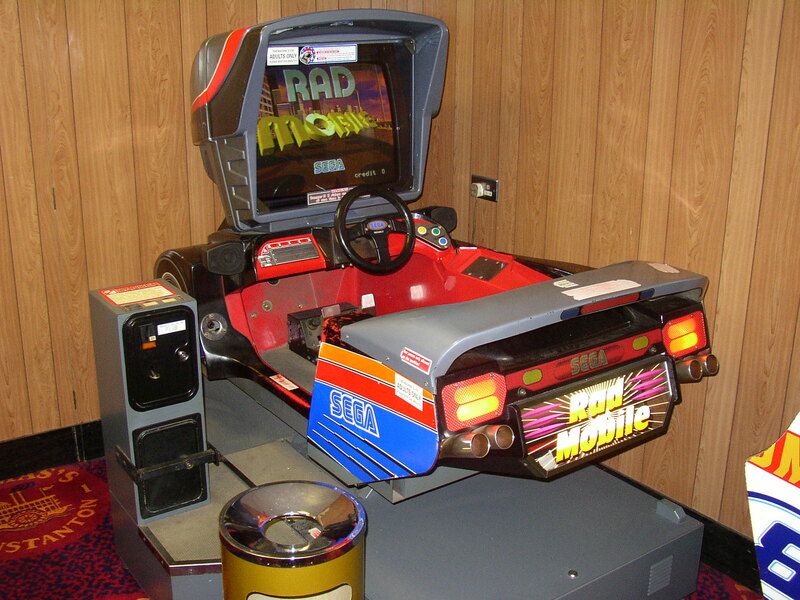 Released in 1991, I fondly remember playing Rad Mobile Deluxe at Barrons arcade, Great Yarmouth. 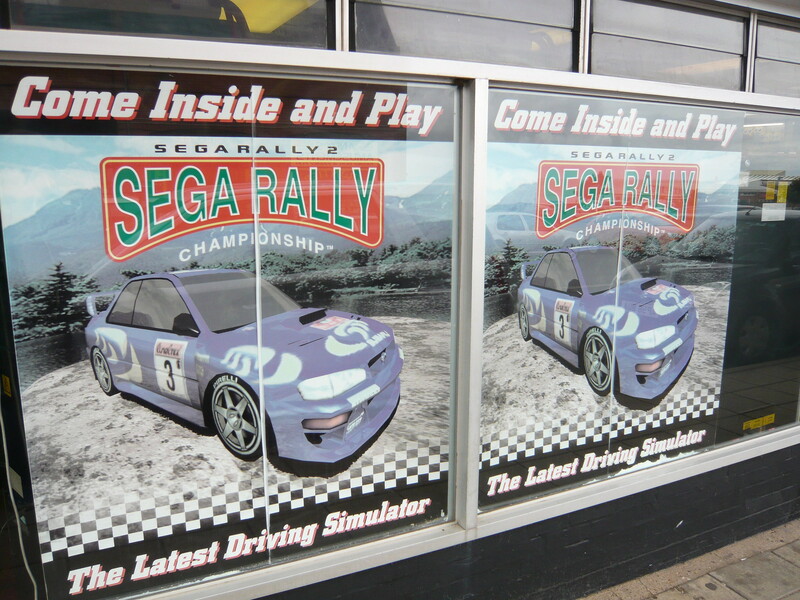 Having to use windscreen wipers and headlights was a cool feature, and Sonic the Hedgehog makes his first appearance as an air freshener hanging on the rear mirror! 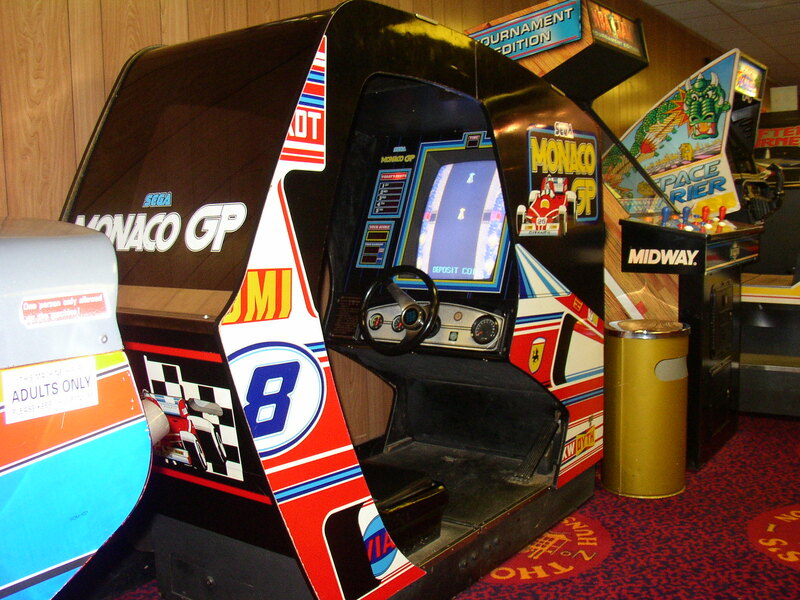 Monaco GP and Space Tactics, released by Sega in 1979 and 1980 respectively. 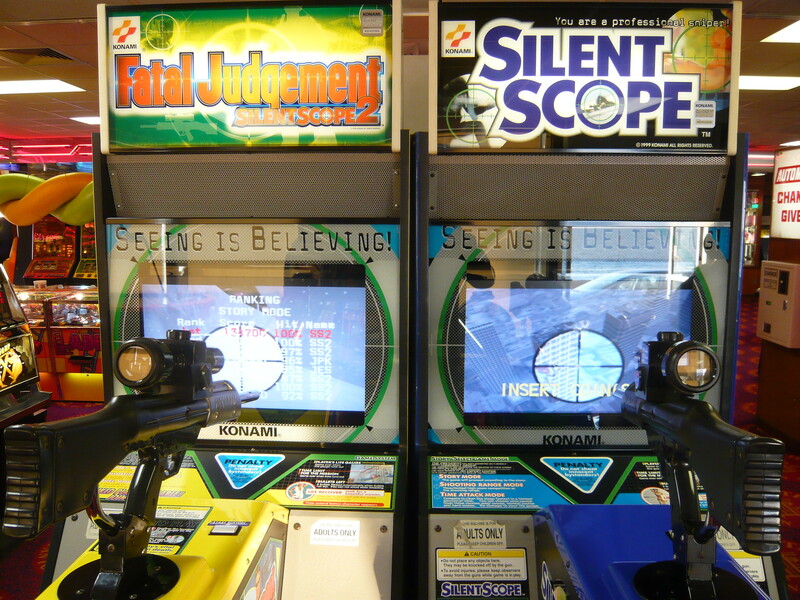 Two titles I’ve never seen / played before. 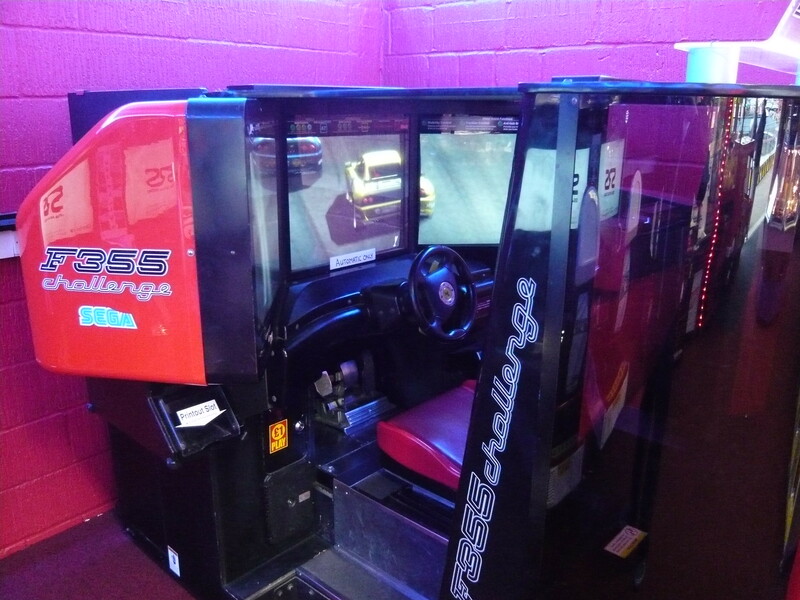 It’s still pretty impressive that the arcade had these in 2004. 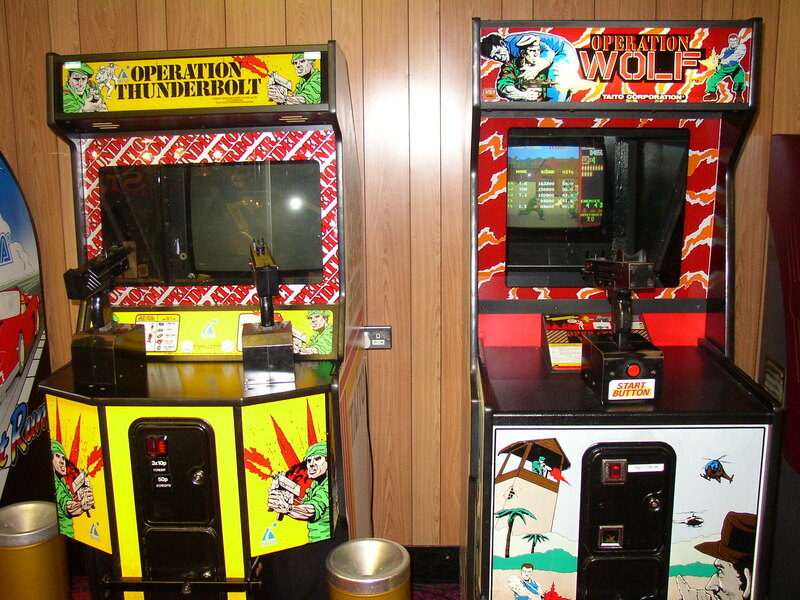 Operation Wolf and Operation Thunderbolt, released by Taito in 1987 and 1988 respectively. 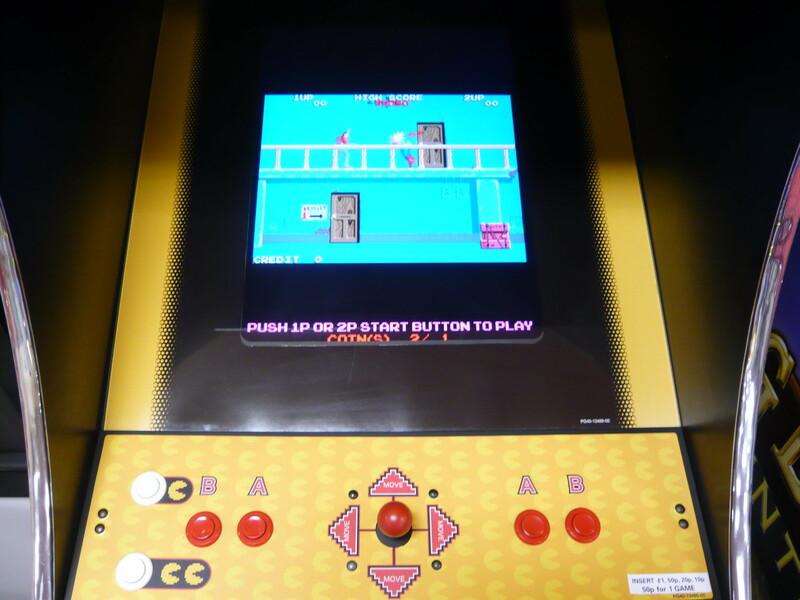 Chase H.Q., released by Taito in 1988, another one of my all time favourites. 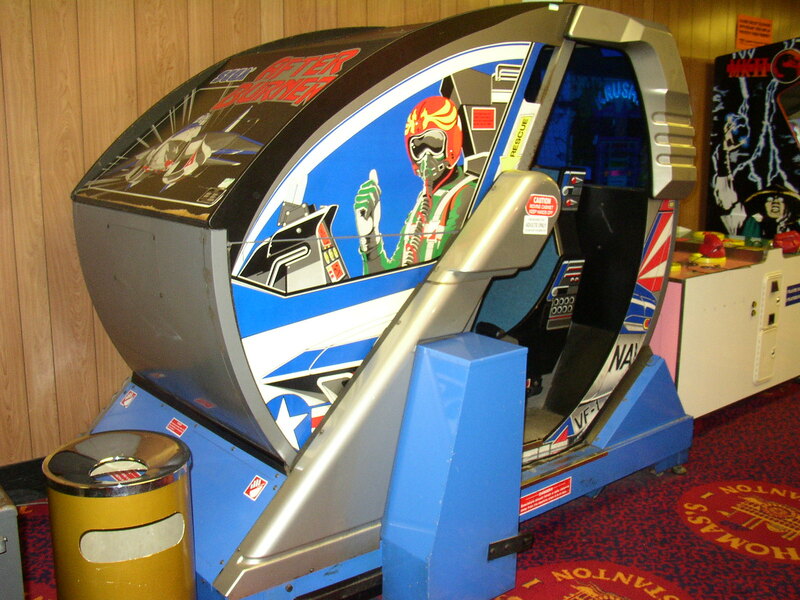 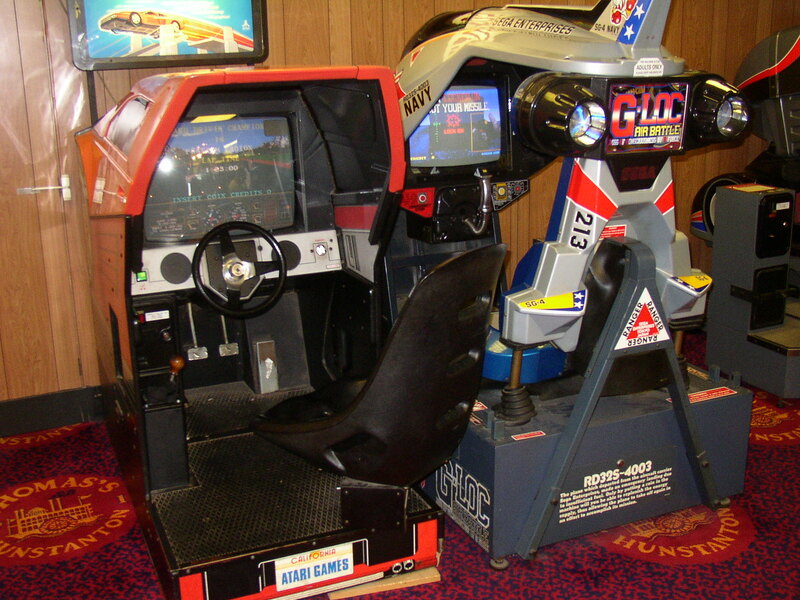 I played the Deluxe version down Great Yarmouth seafront back in the day, but I don’t recall seeing the cockpit version before. 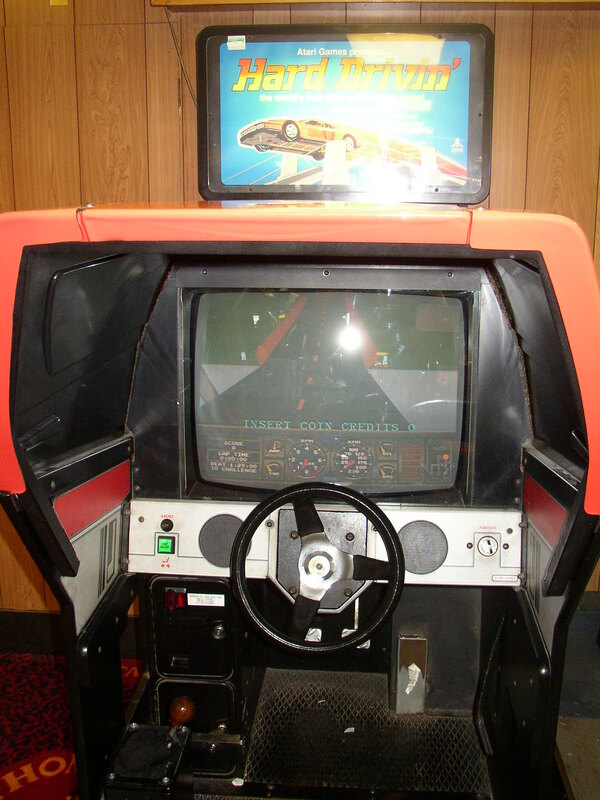 Hard Drivin’ Deluxe, Atari’s awesome driving simulator, released in 1989. 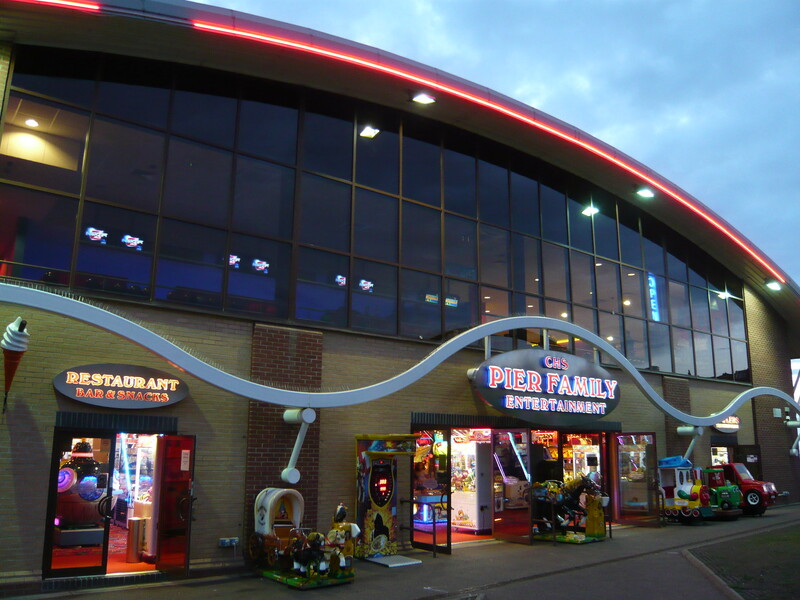 The images remain the copyright of Alan Jacobs. 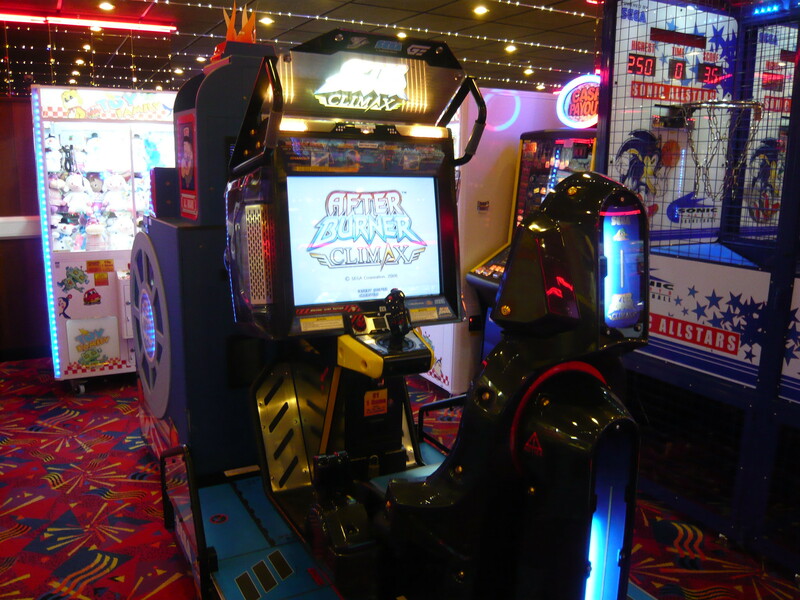 This arcade had very few videogames, but they did have the awesome Afterburner Climax, which seems to be becoming increasingly scarce. 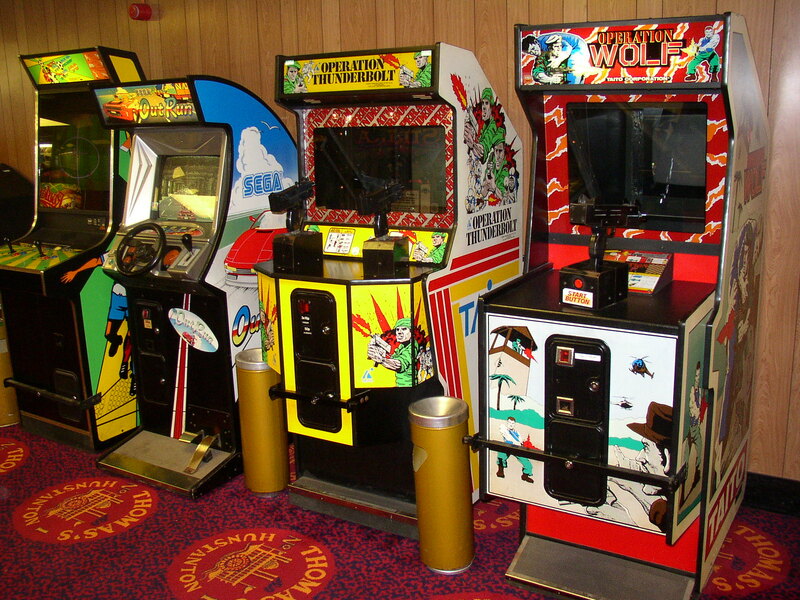 Rainbow Park fun fair had a couple of modern arcade games. 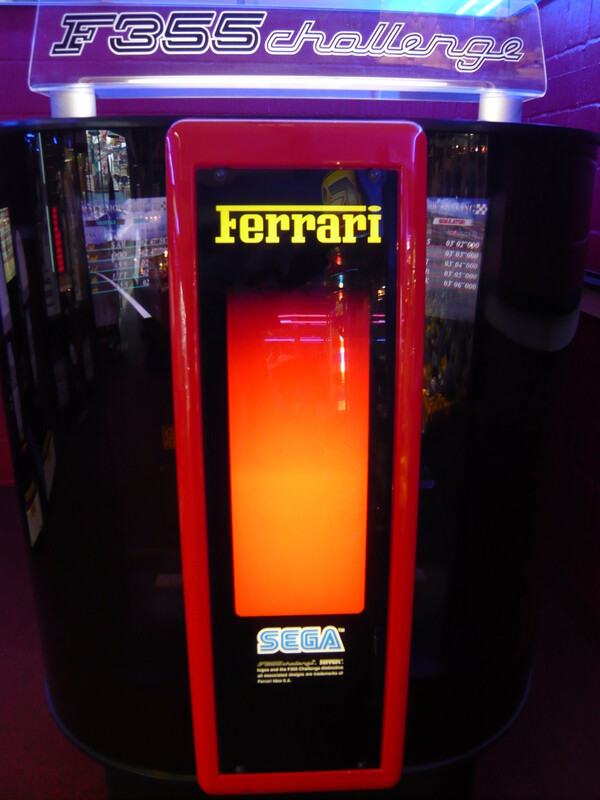 I was really pleased to see a Sega F355 Challenge DLX triple screen cabinet. 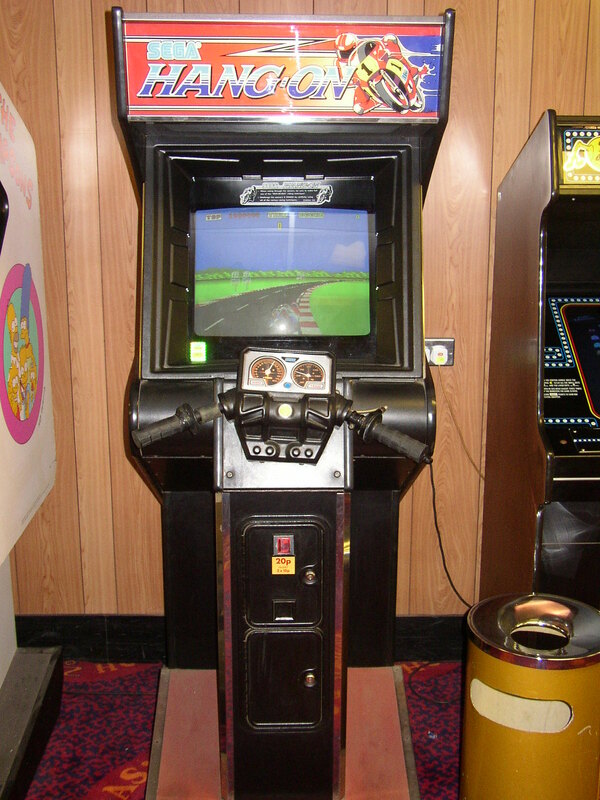 The cabinet features three foot pedals and an H-shaped gear, although sadly the gearstick was missing. 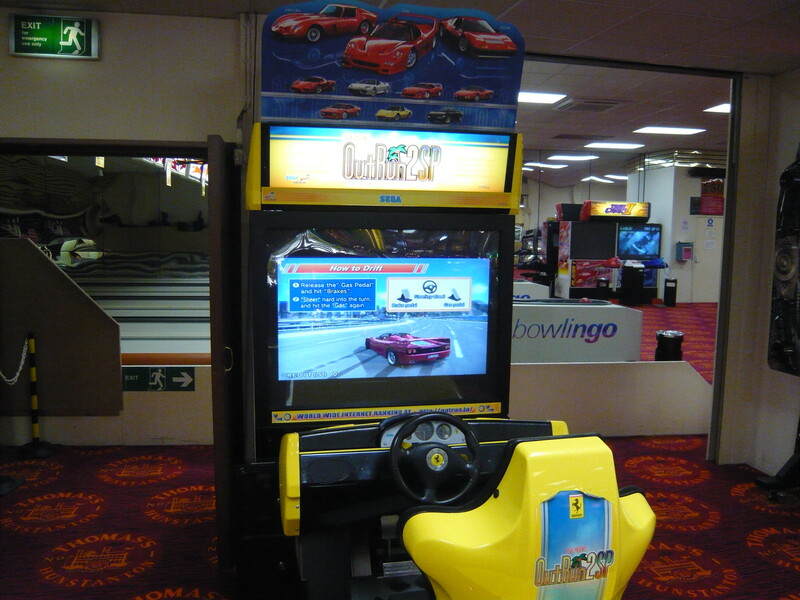 Four Naomi units are utilised, one for each screen and one to synch them all. 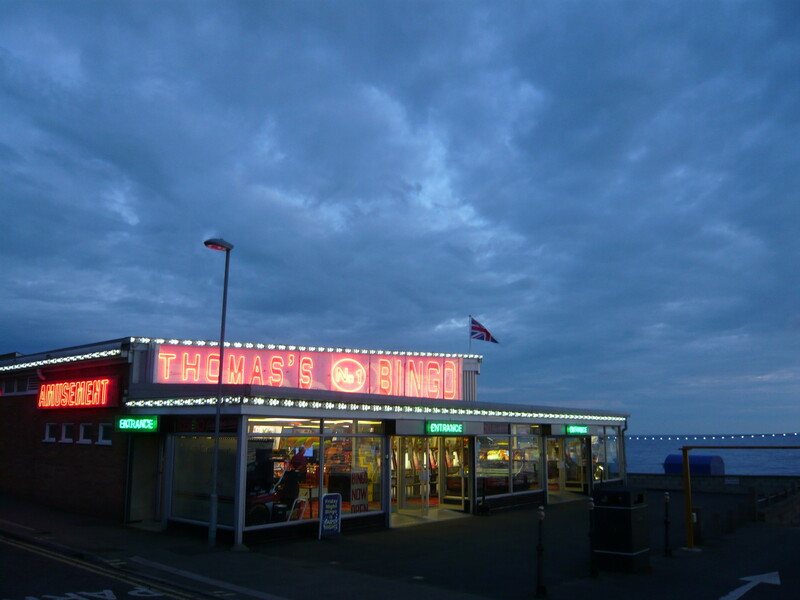 We really enjoyed our stay in Hunstanton. 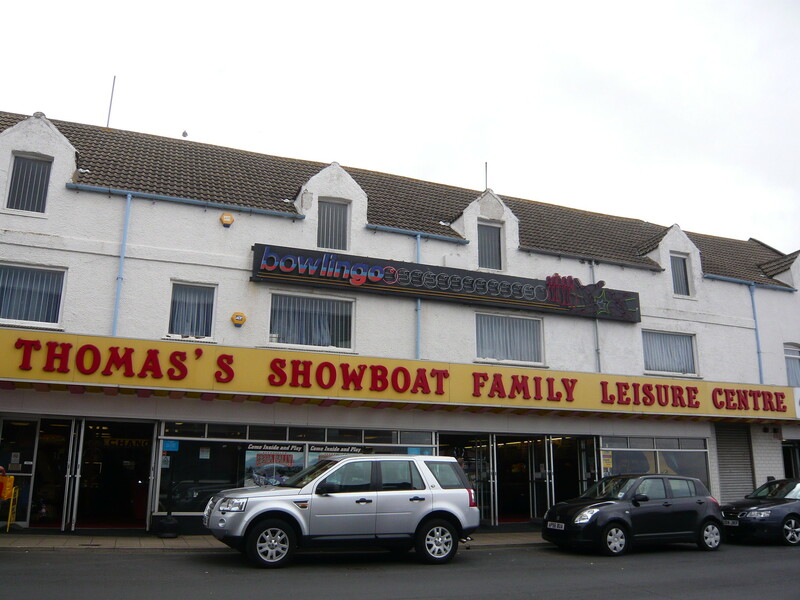 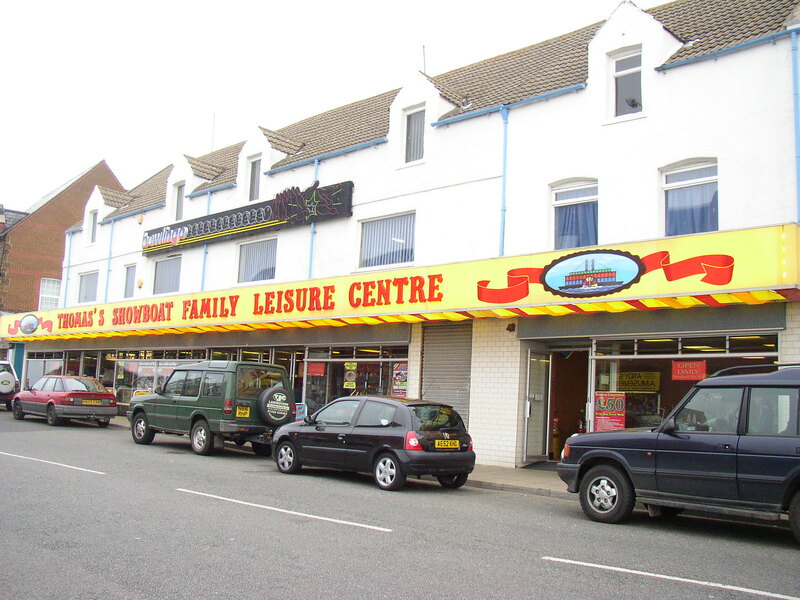 It’s a very pleasant family friendly place and still has that old English seaside town charm. 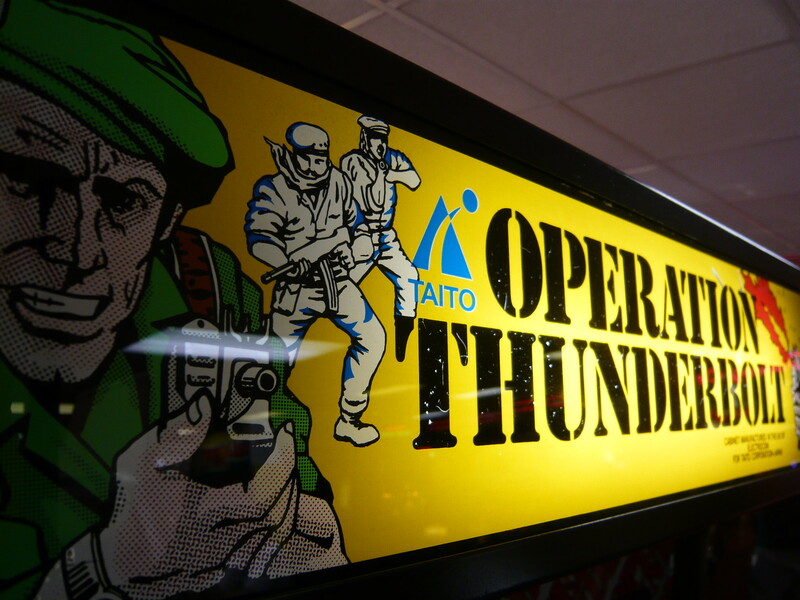 I’m looking forward to going back, and maybe one day we’ll save the pilot and get to see the true ending of Operation Thunderbolt! 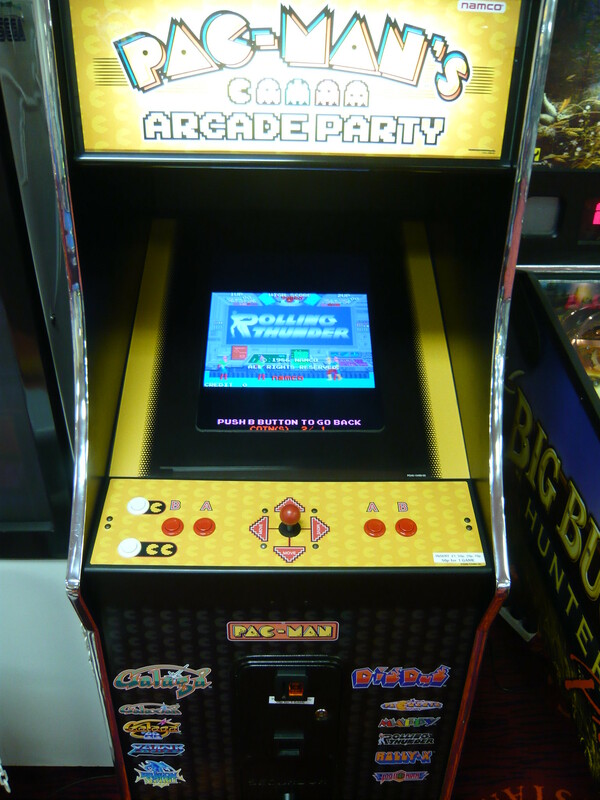 The biggest surprise here was the Virtual On cabinet. 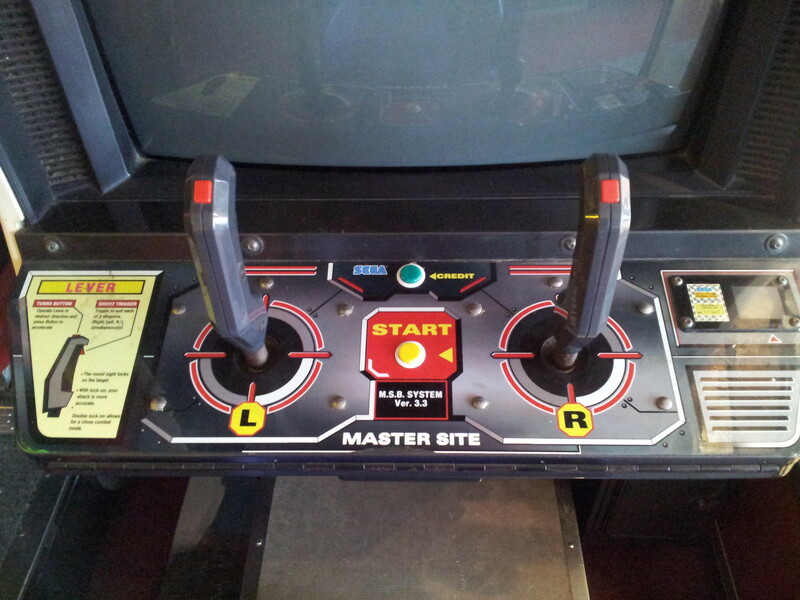 It’s been years since I’ve seen one, although sadly it wasn’t working.